An institution. Great precinct and location for accommodation, what happened. Enhance building performance, perfect for retrofitting and adaptive reuse. 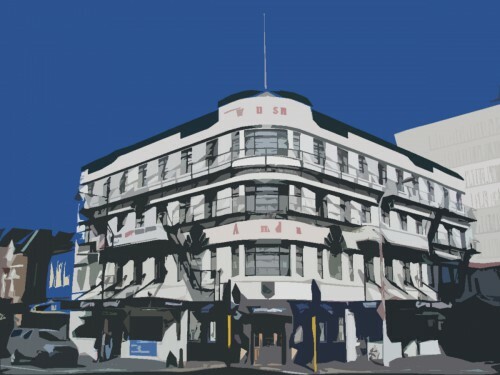 The Law Courts Hotel in central Dunedin has been placed in liquidation. The hotel’s situated in lower Stuart Street, beside the Dunedin Courthouse. It’s been placed in the hands of liquidators by the High Court. Creditors owed money by the company have until the end of March to file claims. The sole director of the Law Courts Hotel is Mornington resident Leslie Scott. A financial report on the state of the business has yet to be made public. It was formally placed in liquidation last week. Brewing giant Lion paid $8 million for Dunedin craft beer maker Emerson’s last year, according to documents filed with the Companies Office. At the time of the November takeover the Auckland-based company did not disclose the multi-million dollar price tag it paid for the South Island firm, which was founded in 1992, making it one of the most established and well-known craft brands in the country. But Lion is required to file its financial statements with the Companies Office due to its foreign ownership by Japanese brewer Kirin. 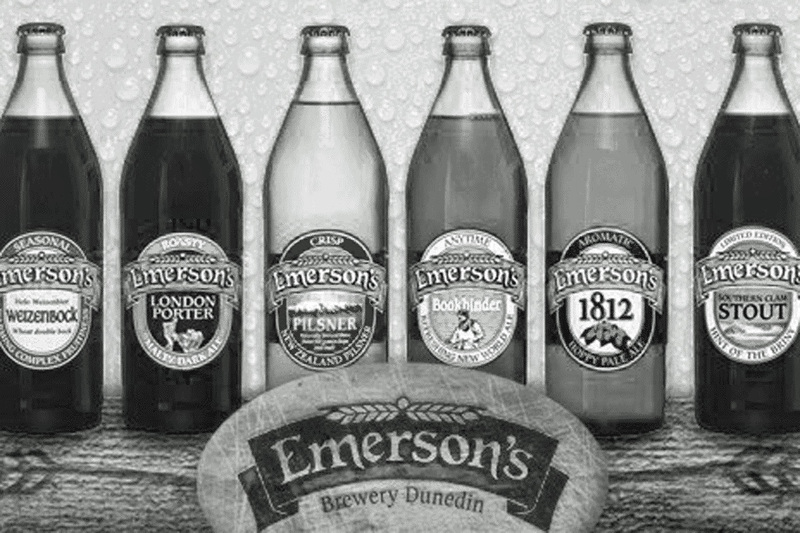 Dunedin, New Zealand – Emerson’s, with support from Lion, has today purchased a new site in Anzac Ave, Dunedin where they plan to build a brand new spiritual home for this iconic New Zealand craft brewery. The new site will allow Emerson’s to meet increasing demand for its high quality beers whilst continuing to bring new and interesting beers to beer lovers. This is the fourth move in the Emerson’s journey and Founder Richard Emerson says the new site will be a vast improvement on the place they currently call home. “Moving brewhouses and tanks is not new to us but this time, we want to create a place where people can touch, smell, taste and experience more about Emerson’s and its story,” says Emerson. Emerson’s, supported by Beca who will be project managing the development locally, are progressing well with the plans for the site which will house a new brewery, warehousing, retail store and bar area where visitors can enjoy a beer matched with good food. Improved staff facilities are also a key consideration for the new development. Lion’s Managing Director, Rory Glass says today marks the start of another exciting chapter in Emerson’s history and Lion is delighted to be able to help them reach their full potential. 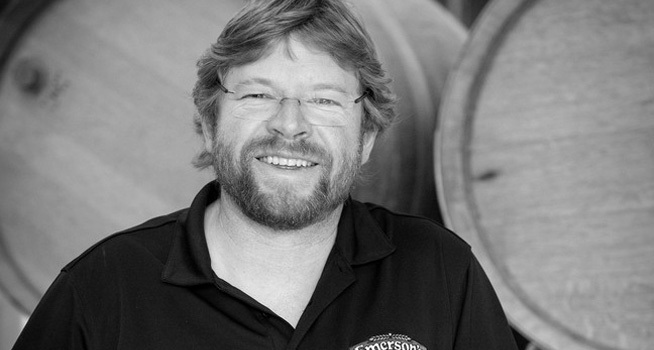 “We stand by our commitment of allowing Emerson’s to continue doing what they do well – experimenting and brewing great beer and we are genuinely excited about helping Emerson’s to build a new home in which they can realise their growth aspirations now and in the future” says Glass. Work is expected to get under way on the site in December 2014 with a target completion date for the new Emerson’s Brewery in early 2016. Final plans for the site will be shared more widely in due course but Emerson’s have extended their current lease at Wickliffe Street to cover them until the new site is fully operational. For now however, it is business as usual for Emerson’s and the team remain focused on creating great beers for Emerson’s fans to enjoy. Cr Hall had been in dispute with the council over access to his land for three years, after realignment of State Highway 88 during Forsyth Barr Stadium’s construction. An expanding Emerson’s Brewery is set to become a ”world-class” tourist destination now an agreement has been reached to buy a new site. The development – expected to cost in the millions – will be open for tours and house a new brewery, warehousing, retail store plus a bar and restaurant. 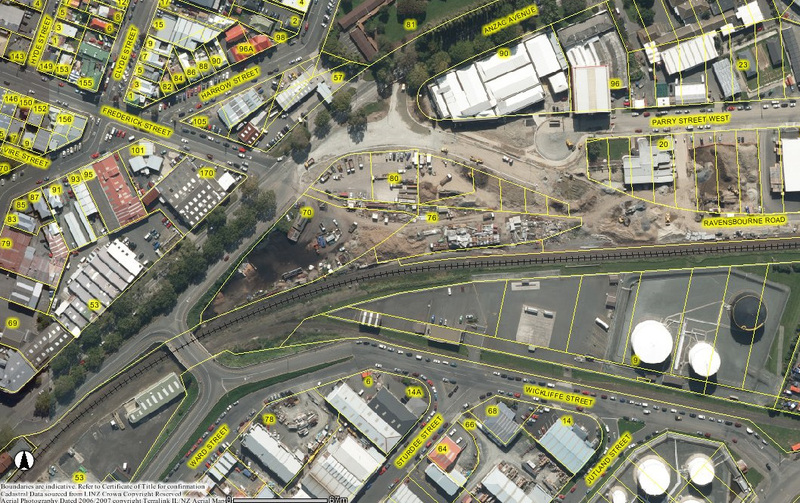 The 22-year-old Dunedin brewery’s purchase of two adjacent pieces of land in Anzac Ave, belonging to the Dunedin City Council and Cr Doug Hall, also resolves a long-running access dispute over the land. The global environment in which we operate has always meant swings and roundabouts for New Zealand goods and services. It has been a tale of two fortunes for city businesses this month. […] And as one door closes [Donaghys], another opens. Dunedin’s Emerson’s Brewery last week announced it had bought land on Anzac Ave, and would move from its nearby Wickliffe St site to build a multimillion-dollar expanded operation with a new brewery, warehousing, retail store, bar and restaurant. The company envisaged it would become a “world-class” tourist destination and the expansion would create jobs. 2.9.13 SH88 realignment: decision to Environment Court? 30.4.13 DCC governance = management ? 24.2.10 SH88 realignment: Are ratepayers buying the land twice? Another reason to avoid fubar stadium at Dunedin for hosting your little seminar of six people. It’s all over to Queenstown…. 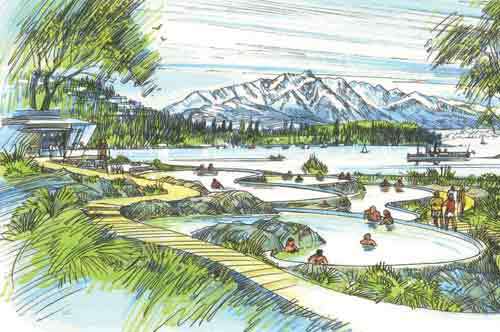 Maori tribe Ngai Tahu wants to make a bigger splash on Queenstown’s tourism scene with a $25 million hot pools complex. Today’s announcement says Ngai Tahu Tourism is in early discussions with the resort council over leasing 0.75 hectares of prime public land in the Lakeview site on Man Street. The Lakeview site is being pushed by Queenstown Lakes District Council as the preferred home for a $50m convention centre proposal, possibly linked to a casino-hotel complex to be built by SkyCity Entertainment Group. Ngai Tahu’s proposed development would include about 12 large public hot pools, four smaller private hot pools, changing facilities, a health spa, reception and retail building, and a café-restaurant. Annual patronage is projected at 300,000 to 350,000 customers. Ngai Tahu is already a major property and tourism player in the resort. Submitted by topsy on Mon, 16/12/2013 – 1:08am. “council’s senior managers met the cost of alcohol personally”. Not 100% clear on this comment. Did the managers pay from their own pocket ? Or did they each pay from their respective department’s personal budget, as opposed to the bill being paid by the DCC as a lump sum? ODT reports “a budget-conscious Christmas party (12 December), with senior managers picking up the booze bill”; you paid for free nibbles (350 pax) and entertainment, and the venue (DPAG not available for external commercial hireage). Cost to ratepayers not including the venue estimated as $2530. Last ODT reports “Mayor Dave Cull, councillors and members of the council’s executive leadership team, together with their partners, enjoyed a Christmas function in Middlemarch” (8 December). This was tied to “a teambuilding exercise and familiarisation trip for new councillors”. You paid for bike hire ($360), a barbeque ($875; “partially BYO”), bus travel (no figure), and train travel to Pukerangi (care of Taieri Gorge Railway, a council-controlled trading organisation). Total cost to ratepayers unknown. You paid for these —unsurprisingly, one was held on Kate Wilson’s turf. Could you call these a spree? Were either of the events necessary? The councillors and staff do receive rather excellent pay. 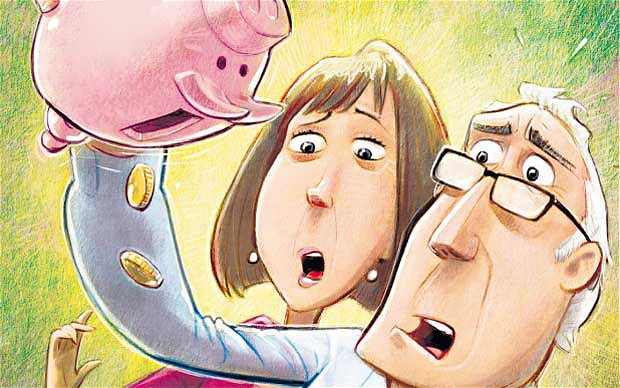 Why would we pay for partners? Is this gravytrain or sleazy or important? How many reading this have got $360 to spend on recreational bike hire, and altogether don’t mind their rates being used this way? Think about this at your next potluck or porridge day held at home. Was this unwise, something you would rather not happen? Could the council have volunteered its collective resources to the community in a way that adds value, outside council work hours (for example, a working bee)? What is team building – isn’t that cemented into all council work, every day? We should generously embrace this very minor self-entitled ‘bonus’? 24.10.13 DCC in-house catering, pruned like CCC?